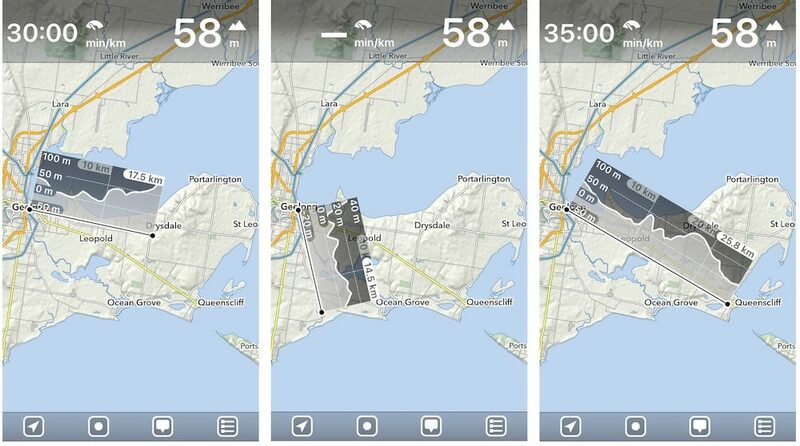 I’ve recently downloaded a smartphone mapping app called MapOut, and I’m pretty blown away by its capabilities. I’ve always found it frustrating how difficult it can be to draw and amend GPX routes, especially once they’re imported into your smartphone app. 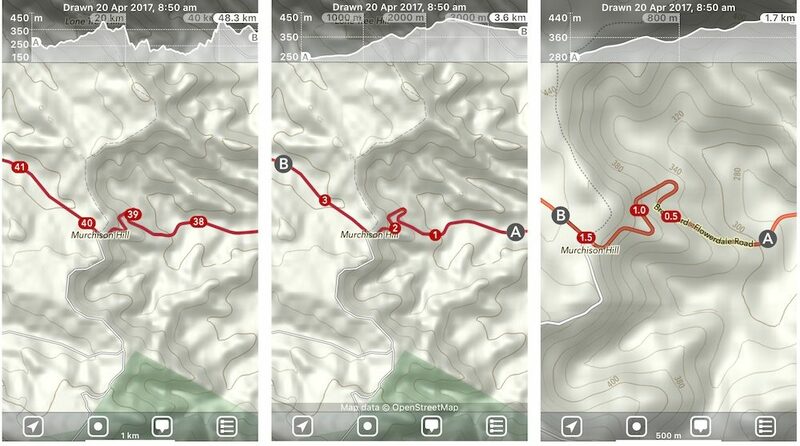 MapOut (US $4.99) saves the day by using a simple interface to draw routes, and check out elevation profiles. Unfortunately, this app is only available for Apple phones and tablets (iOS), but I hope some of this functionality is imitated across other navigation apps soon. I’d love to know if you use a similar app on Android which can draw and amend routes (bonus points for a simple and easy-to-use interface). 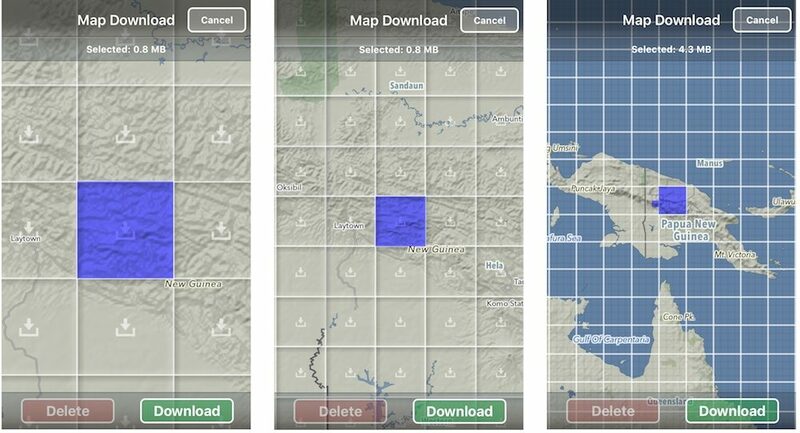 It’s worth noting now that this mapping app isn’t a complete mapping solution. At the moment I’m using three apps when I travel. I can’t fault Maps.Me for navigating in cities, and Komoot for super-detailed routeing capability. Let’s take a closer look at the features of MapOut. MapOut uses the most recent version of OpenStreetMaps, which is also known as the “Wikipedia of maps”. This open-source data is continually improving as anyone can add streets and modify the maps as need be. You only download the tiles you need, which work out to be a couple of megabytes each. Once you’ve got your maps, you will no longer be requiring a cellular network. The GPS chip in your phone will find the satellites all by itself. 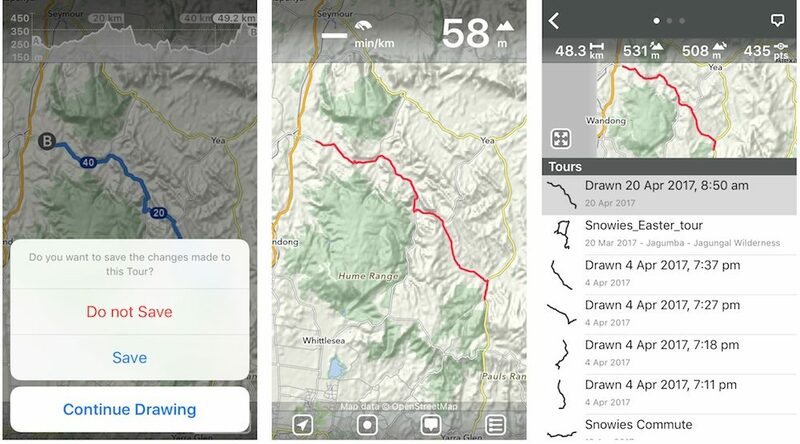 The MapOut app is perfect for backcountry navigation because it shows both contour lines and hiking trails. 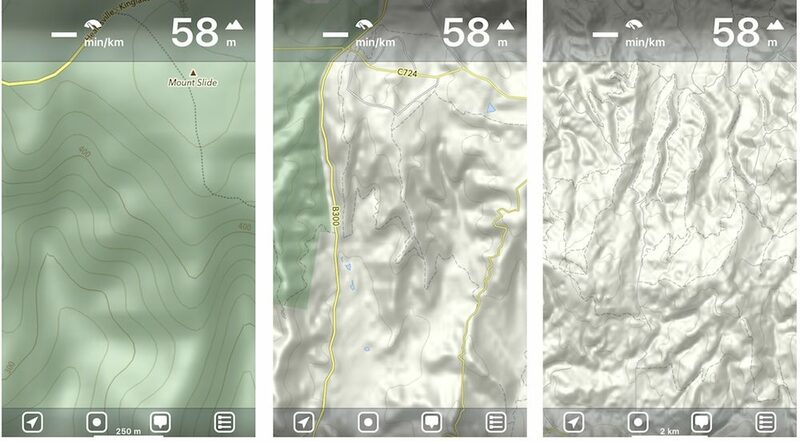 At maximum zoom, the app shows 10-metre contour increments, but as you zoom out that lifts to 50-metres. In the settings menu, you can, of course, switch everything across to miles/feet. 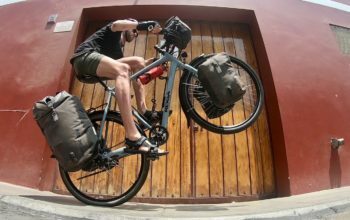 You also have a raft of overlay options that you can turn on and off, including bicycle networks, hiking routes, MTB routes and public transport networks. It’s very easy to draw a route. You’ll first need to select ‘draw new tour’. Double tap to create a starting location ‘A’ and the app will provide the elevation of the site. Zoom out and find your end location. Single tap to create a end location ‘B’. You will now see an elevation profile and the straight line distance between A and B. You can then ‘Snap to Road Network’. This will pick one of the more direct routes for you to follow. You’ll see an amended elevation profile with distance markers the whole way. You can manually draw routes too. 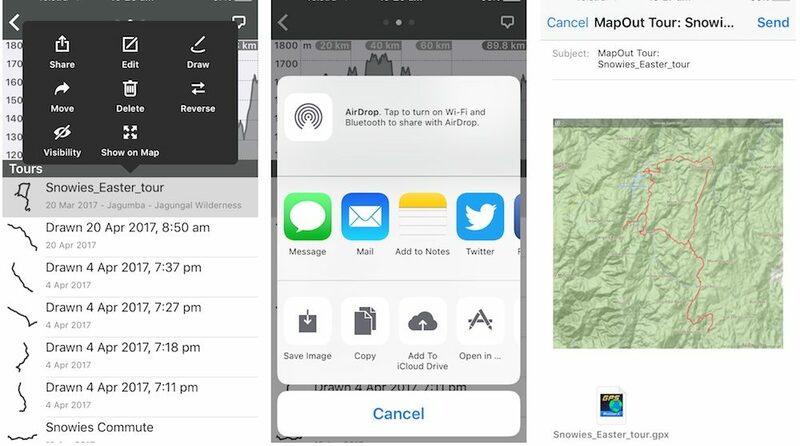 This is probably the best part about the MapOut app – it’s so intuitive! Once you’ve plotted the start of your route, drag your finger along the roads that you’d like to follow and it will automatically ‘snap to road network’. Don’t worry if you make a mistake – you can backtrack and then follow the correct road. You can amend both the ‘snap to road network’ and the finger-drawn routes. 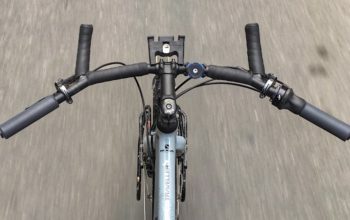 The only clincher is that you will need to follow your amended route long enough to connect it back to the original route. I’ve found it’s sometimes easier to draw a rough route through a particular section and amend it in smaller, more precise sections. 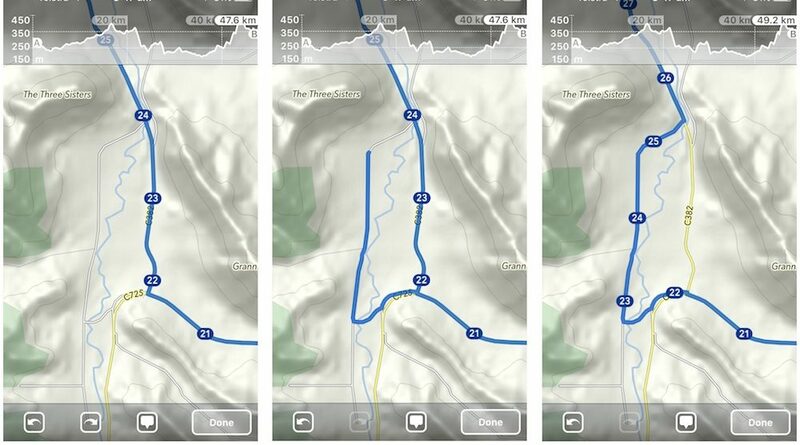 Once you’ve saved your route, you can see the elevation lost and gained with all of your other saved routes in ‘Tours’. 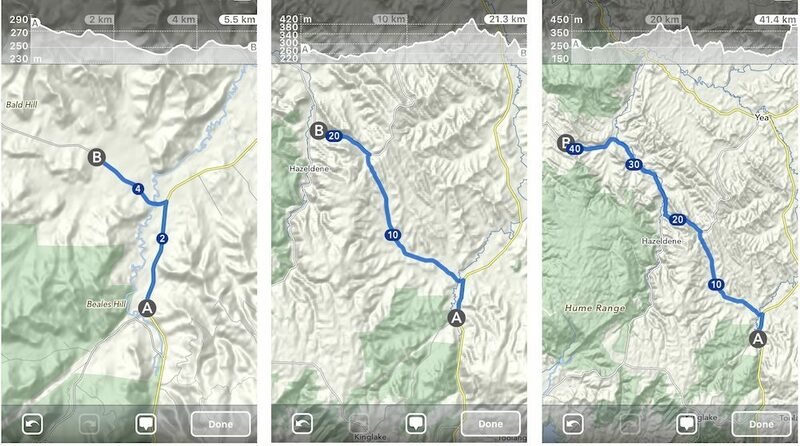 Swipe across and you can see a more detailed elevation profile for the route too. With your saved routes you can analyse specific sections both before you leave or while you’re cycling. 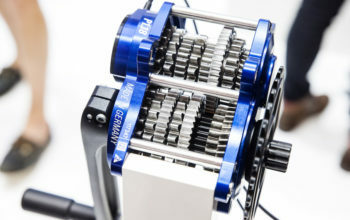 You can drag the ‘A’ and ‘B’ to the particular section and it will give you the elevation profile and distance markers. Alternatively, you can zoom into a particular route section and click on the route itself. The ‘A’ and ‘B’ will now be located within the bounds of your smartphone screen. If you’re cycling on the route, you’ll see a blue dot on both the elevation profile and map with your exact position. One of the ‘wow’ features of MapOut is the 3D tilt. The tilt gives you an instant understanding of the terrain, almost like you’re viewing from an aeroplane. 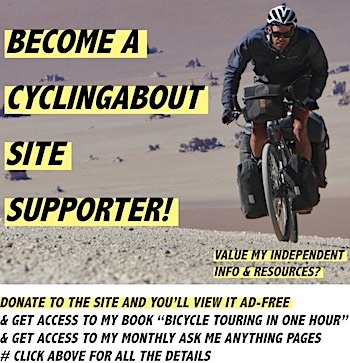 I regularly use this feature to make sure I get the flattest possible route. A less known feature in MapOut is the ability to measure both point-to-point distances as well as create instant elevation profiles. 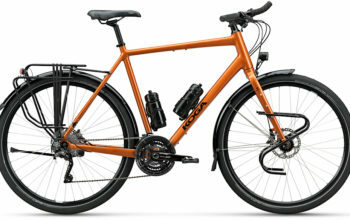 These can be useful when determining how far it is to the next town, or how hilly a detour may be. To see the instant profile, you just need to hold two fingers on the screen at once. An elevation profile will appear with moveable black dots on either end. You can easily import routes that you’ve created in RideWithGPS or Google Maps (or any other software). You’ll need to create a MapOut profile which sets up a personal MapOut email. 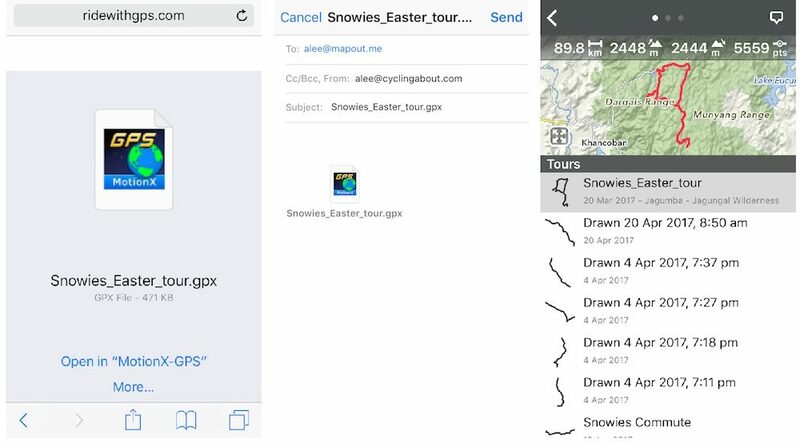 Then it’s simply a case of emailing your MapOut account with the GPX file. It will automatically appear in your ‘Tours’ within minutes. Alternatively, you can open the GPX file directly into the MapOut app which will save the route to your ‘Tours’ instantly. 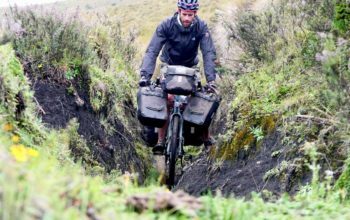 With GPX files that have been recorded with a GPS device, the route is never precisely on the roads. 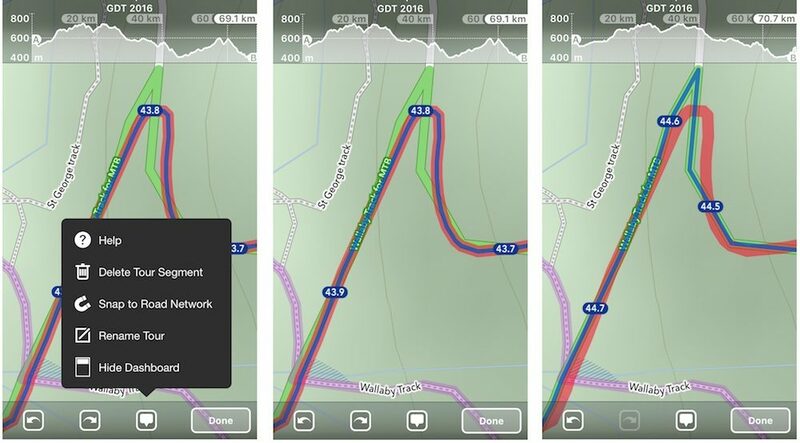 With MapOut you can use the ‘snap to road network’ feature to tidy up existing GPX files that you have. By tidying everything up it gives a more accurate distance and elevation profile. Take a look at the images below. Once I had snapped the route to the road network, I added almost a full kilometre to my route within the first 44km. Not only can you import your RideWithGPS, Google Maps and Google Earth routes, but you can share the routes you create in the MapOut app too. The process is simple. 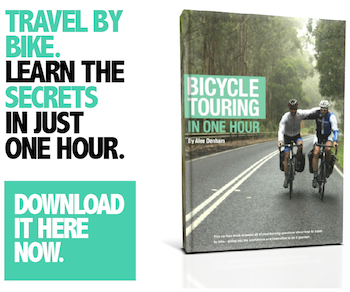 After saving the route you’ve drawn, head to the ‘Tours’ section. In the top-right corner, you’ll see a speech bubble which will give you the option to ‘share’ your file. You can then mail/message/open the route in any other software.